What do you do at Addison Clark? My official title here at Addison Clark is Web Developer/IT Manager, so that generally means if there is any kind of computer related issue that falls on me to tackle. This can range from the obvious web development stuff to trouble setting up emails on smart phones. That would definitely have to be the people of Addison Clark. Even if everything else is great about your job, the people are the difference between liking and loving it. Name three things you’ll find on your desk at work. Well, I am assuming you don't mean the obvious mouse, keyboard and monitors trio. I would be remiss if I didn't start with the picture of my wife & I. That actually leads me to the next item a small, hand carved Hawaiian Koa tiki mask; which was a gift from a friend who had recently been to the islands. Not being a vain man, I have placed it strategically over my face in the picture, so that way when I look at the picture all I see is her. The last item would have to be my smart phone, I take it everywhere because without it I feel very disconnected from the world. There is just something about being able to connect with just about anyone, anytime just feels right. A mixed assortment of things! While my "official" title is Marketing Manager, I tend to dabble in various activities, like SEO tracking, account management, and playing on Facebook/Twitter/Pinterest (and by playing, I mean working... what can I say, social media is fun for me!). Mostly, though, my number one job duty is to keep Andrew and Jeff on task! There's something new every day! Whether I'm working on a new print project, social media posting, or pay-per-click campaign, each day is different and out of the ordinary. I also adore my team - hands down, they are the best coworkers a girl could ask for! My job revolves around writing – from blog posts to web copy to 140 character tweets. On a daily basis, I deal with social media marketing, email marketing, copywriting and blogging – a writer’s dream job. I love dealing with social media on a regular basis. It’s fun to see customers interacting with brands they love. I also love being able to articulate our clients’ stories using social media. A framed picture of me and my husband on our wedding day. We got married in May of this year and I still haven’t tired of looking at our wedding photos again and again (…and again), so having this on my desk makes me particularly happy. You’ll also find a mug for hot tea and plenty of Sharpie pens. What Do Weddings and Businesses Have In Common? Pinterest! Five years ago Pinterest didn’t exist. It wasn’t a word, a thing, or even a thought. In the last few years, though, the visual social media site has become one of the most popular go-to platforms in the world of event planning. With over 25 million users today, most of whom are female, Pinterest has become a hot spot for wedding and reception ideas. In fact, Pinterest estimates that there are tens of thousands of user-created wedding boards across the site, many of which are created by women who aren’t even engaged or planning a wedding. Like millions of other users, I turned to Pinterest for ideas and inspiration when I started planning my own wedding this year. Throughout the process, I realized that there are many ways in which businesses can utilize Pinterest in the same way that brides-to-be do. Whether you’re planning a wedding or an office event, Pinterest can be a very useful planning tool. One of Pinterest’s best qualities is that it is visual. By pinning a variety of pins onto a single board, I was able to visualize how details would look together. It was also helpful to have all of my ideas in one place where I could easily share them with family members and vendors, so that they too would have a visual of the look and feel of the event. Likewise, Pinterest is a great resource for businesses to use in order to gather feedback on projects. Instead of having long meetings to brainstorm and discuss, why not use a visual approach? Pinterest boards are a great way for employees to actually see their ideas coming together. Another useful aspect of Pinterest is that everyone can contribute. I come from a large family so it was no surprise that everyone wanted to offer their ideas and suggestions during the wedding planning process. Pinterest makes it easy to let others in on the plan. I invited my mother and sisters to pin to my wedding boards. This way, when they came across a cute decor idea, hairstyle, or bridesmaid dress they could pin it themselves. In a business, getting the staff involved in major decisions is a great way to let them share their thoughts and opinions. Encourage employees to pin their own ideas and suggestions to a particular board. 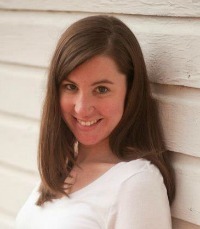 Pinterest is a valuable resource when it comes to searching for wedding vendors. One of the best things about having so many brides on a particular social media site is that they’re able to share their caterers, DJs, wedding officiants, etc. Many pins are linked to these vendor’s websites, which allowed me to contact them directly. The next time your business hosts an event, consider creating a board to showcase the event. You can pin pictures of the event’s key speakers and link them to your Web site or to those of the speakers. You can also give your sponsors a little extra exposure by creating a board filled with your sponsors’ products and services. Not only does this showcase the types of relationships your business has, but it provides a great resource for others businesses or interested clients. Finally, remember, that Pinterest is a public space. I was cautious about pinning all of my wedding ideas on Pinterest, because I didn’t want wedding guests to see all of my ideas before the big day. Pinterest solves this problem by offering Secret Boards that are hidden from the general public. You’ll still have access to all the great features Pinterest offers, but you can keep your ideas on the down-low until the time is right. Happy pinning! In an effort to continually improve on my social media skills, I've been really diving into Google Plus (or simply G+) as of late. I was one of the early adopters of G+, when you still had to have an invite to use the social media platform. 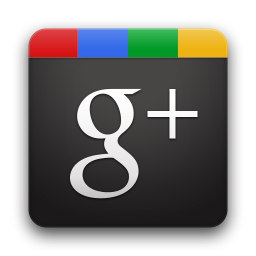 I was so excited, and I (like many) thought that Google Plus was going to be the next big thing. Then it became open to the public, and... still not many people I knew signed up for it. When I realized I was getting more friends on Facebook than G+ when it was supposed to be gaining momentum, I basically gave up on it. Some time has passed since those days, and more individuals and companies have established themselves on this platform. 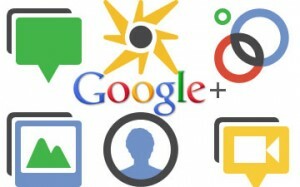 New features have been added recently and needless to say, my interest in Google Plus has been renewed. Not only is it my job to know and understand as much about social media as possible; I really just feel that many things deserve a second chance (darn my bleeding heart!). So let's dive in to the new and improved G+, shall we? *Please note: This is an introduction to Google Plus, which I interpreted by perusing my personal account, and should be used in conjunction with your own experience with G+ (not as a replacement for it). When you log in to Google Plus, you are taken to the Home screen. This is where you are able to create your own post and view recent posts of others. The layout of G+ is relatively easy to follow, once you get into it. I stumbled a bit at first, but it always takes time to get used to anything that's new to you. On the right hand side of the Home screen, you'll see topics that are trending on G+, recommendations of people/businesses for you to follow, and other information that may be relevant to you. The left hand side of the screen is where your main options are. Going down the line: Profile- Pretty self-explanatory. This is where you set up your profile (+You) that everyone will see. You can upload a profile pic, a cover photo, get a snapshot of who is in your Circles (we'll come back to this), and see all of your past posts. Explore- As Google+ puts it, this section is, "What's hot and recommended." Popular posts will be on display here, as well as posts that Google believes you will be interested in (based on your Google Plus habits, who you follow, what you post, etc.). Again, you will see trending topics on the right and suggestions for you to follow/Communities to join (more on that later). Events- If you are hosting an upcoming event, you can create, share and invite others here. You can post photos for the event and view it on your Google calendar. Others that are invited to the event can also share posts and videos. 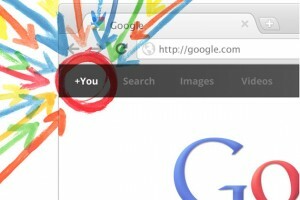 Communities- This is one of the newest features on Google Plus. In a nutshell, a Community is basically a group that you can join that appeals to your interests. Once you join a Community, you can post or comment on posts. It's a fun way to communicate with people that you may not necessarily know, but share common ground with. For example, some of the Communities that I have joined are "Animal Lovers," "One Upon A Time Fans," and "Joke of the Day." You can also create a Community, if you are so inclined. Photos- This is where you can establish your photo settings. Set up instant uploading from your phone, view your photos online, and choose which photos and videos you want to share with whom. Circles- The best way to explain Circles is simply that they are groups of people organized to your liking. 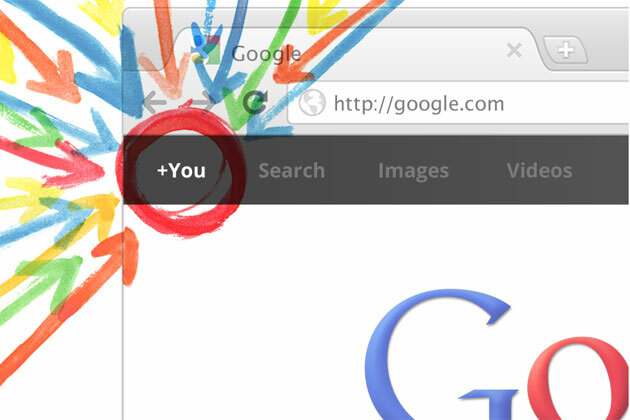 You will start G+ with four pre-made Circles: Friends, Family, Acquaintances, and Following. You can delete any of these Circles, and create new ones- you have the freedom to organize any way you choose. One person can only be in one Circle at a time. What's interesting about this is when you post, you can choose specific Circles that you want to share with (if it's a more personal post) or you can share with ALL of your Circles. Make sure to pay attention to which Circles you're sharing with whenever you are posting! Local- This is a neat tool to use if you are trying to find a business near you. You will automatically see "Recommended places near ____________(your current location)." In this section, you can view/write reviews and recommendations, and you'll see a few offers for locations near you that have paid to be in this space. Games- Find games to play, and see what people in your Circles are playing. Hangouts- A Hangout is basically video chat session. It does not have to be one-on-one; you can invite up to nine people at once to join in. You can view past Hangouts that have been made public on this page. There are apps you can access to make your Hangout sweeter, including YouTube and Google Effects. Pages- If you manage multiple Google Plus Pages, you can access them all on this page. You have to be given administrative rights in order to have the Pages show up. Where’s the Miss Manners of Social Media When We Need Her? As social media becomes more and more integrated into our daily life, our friends have the privilege of knowing what we’re doing at any given moment, what music we’re listening to, what we’re eating, where we’re eating it at, and exactly what our opinion is on that new Parenthood episode. The issue of over-sharing on social media sites such as Twitter and Facebook has been discussed over and over in the past few years, but what about how we are supposed to respond to all that over-sharing? Alex Knapp, a writer for Forbes, brought this subject up recently when he saw on Facebook that one of his office mates was listening to a certain band. He looked the band up and began listening to their music. This is when he found himself in the middle of a social media etiquette predicament. Should he thank his office mate for introducing him to a new band that he really liked? Would that be creepy? Should he not say anything and continue listening to the same music as she did? Would that be even creepier? What if she didn’t know that what she was sharing on Facebook was “public”? What if she didn’t know she was sharing at all? Knapp woefully wished for a Miss Manners of the social media world to plague with these questions. Sharing on Facebook has reached a point where not everything that is posted is voluntary. Outsider apps, such as Spotify and Pinterest, will post what song you’re listening to or what recipe you’ve repinned automatically. While most people are aware of their privacy and sharing settings, not everyone is knowledgeable of the fact that the miniscule details of their lives are being posted on the Internet for “everyone” to see. (“Everyone” as in their office mate whom they added out of politeness, their crush from high school whom they added so they could browse through his/her wedding photos , their best friend’s brother’s girlfriend whom they added because…heck, they don’t even know why they added her!) Either way, these are the people who are being updated with details of other people’s lives, a little treat they have at their fingertips thanks to a pretty little thing called social media. How are we supposed to respond to that? Is it simply accepted that everything that is posted on social media networks is meant for public consumption and, therefore, okay to discuss with family and friends? Or do social norms prevail and real life manners apply? Miss Manners, where are you when we need you? Social media has had an incredible impact on our society. We are able to communicate very easily with someone who is halfway across the world from us. We can express our feelings in a very personal way without the directness of face-to-face contact. That is why now, more than ever, we turn to social media as an outlet for expressing grief, happiness, and just for the sake of satisfying our interests. There's so much that we can learn about a person, just based on their social media content. For example- on July 20, 2012, a horrible event rocked our country, and especially the Colorado suburb of Aurora, where 12 innocent people were killed in a shooting at a movie theater. One of the victims was a blogger and aspiring newscaster named Jessica Gwahali. Soon after that day, I read an article analyzing grief and social media, and the author discussed how she had been reading Jessica's blog, Twitter, and Facebook pages. It was astonishing how many new Twitter followers Jessica received after her death, and the tweets were full of sadness, expressing sorrow for the loss of Jessica's life. 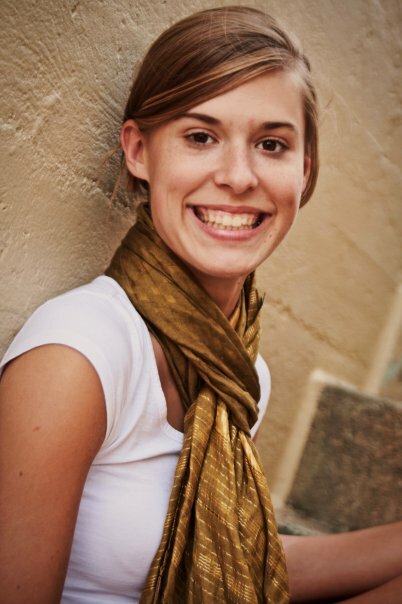 Through social media, the author of the article - and thousands of other people - were able to feel connected to Jessica after the tragedy, even though they did not know her personally. Click here to read the full article. 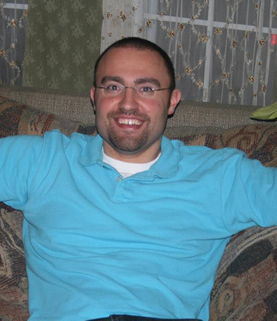 Social media is not just an outlet for grief- it's a place where many exciting, personal announcements are made. Lately, I've noticed many major life-changing events blowing up my newsfeed: engagements, weddings, pregnancies, you name it. It's no wonder, really, because social media is a great way to get the news out to the world in one fell swoop, without having to worry about telling your friends in a certain order! Celebrities are at the forefront of sharing exciting news through social media. Instead of a traditional press release, Lady Gaga used Instagram to share some important news with her fans; she posted a photo of her new tattoo, which states the title of her next album. We are a 24/7 society, meaning that most people are very focused on satisfying their interests RIGHT NOW! Because social media is immediate, if you've fallen behind on a piece of news, it won't be long before you find out. There is one problem that this poses- spoilers. A perfect example of this was Twitter during the Olympics. Since the games took place in London, everything that happened live was broadcast hours later in the United States. In the meantime, spectators to the Olympic games were Tweeting events in real time, thus taking away the element of surprise for many people. As a result, expressions of anger and frustration were posted on Facebook and Twitter when big reveals were made. However, that is the chance we take when living in the land of social media. I always wonder how newcomers to social media networks will react once they discover what all the fuss is about. A friend of mine resisted the social media movement for years. She finally gave in and joined Facebook in June. She's already up to well over 300 friends, she posts every day, she has uploaded more photos than I have on my own page-- and I feel like I'm getting to know her better now that she is on Facebook. No matter how we choose to express ourselves through social media, we can all agree that it's a movement that has become an integral part of our daily lives. What will you be sharing today?